Decision modeling provides a formal framework to design dashboards that link explicit decision making to the knowledge required for them. 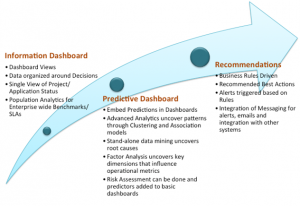 Decision modeling is an ideal technique for capturing business requirements for a dashboard, and then for driving the design, implementation and maintenance processes. Decisions are captured and maintained in context of goals, metrics, business processes, trigger events, systems and stakeholders. This ensures a comprehensive, future-proof dashboard design – and as a side-effect enables formal Performance Management, Governance, Compliance, Escalations and Training. 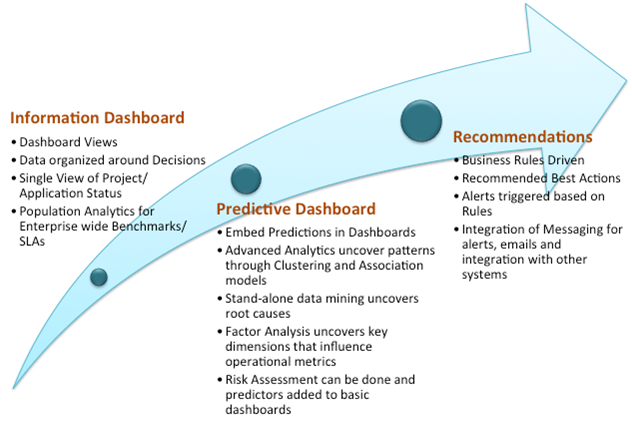 Decision models enable dashboard implementation by tying data requirements and knowledge requirements to presentation elements. These sources are defined in context of stakeholders and systems so that governance and control requirements are simultaneously obtained. The graphical nature of decision models allows visual partitioning to drive phase-wise implementation, as well as a robust and logical work-breakdown-structure for formal project management.